Muscle memory for back layouts and how to flip the right shape | Swing Big! Alright, so I’m today I’m finally back to posting about SKILLS. Not that doing the rest of it wasn’t fun (alright, REALLY fun), but this may be more useful tomorrow. Today I’m going to share a couple back layout drills. I’ve shared this first drill in a different video before but I’ll share it again, just because I think it’s SO WORTH doing. Even just 5 of them every time you go to floor or tramp or something. 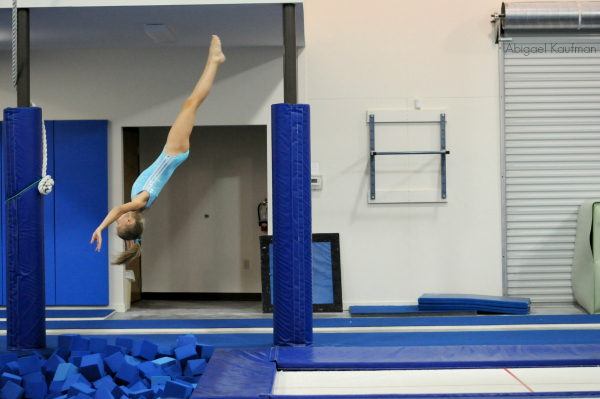 Getting the muscle memory right, and engaged early will help your tumbling the whole way through. This second is a nice little drill for layouts. Great for kids who may not actually be doing them yet, but you want them to train the muscle memory. Great side station, or just something to mix up a tramp rotation with.